From 25 – 26 March 2015, Medsquare participates in the Interventional Radiology Conference organized by the French Society of Medical Physics (SFPM) at the Hotel Kyriad in Paris (Gare de l’Est). 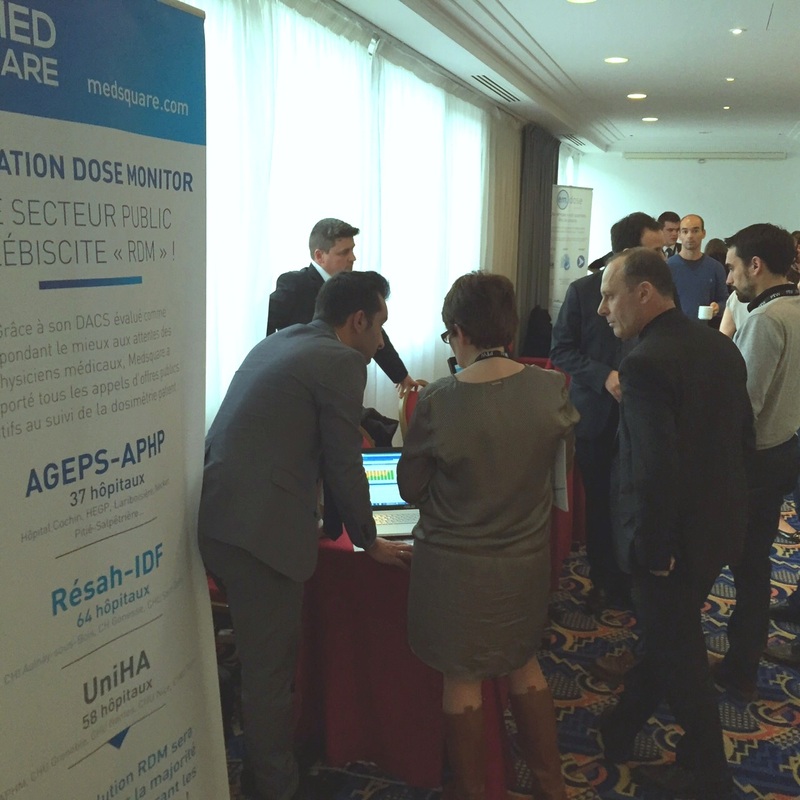 This is Medsquare’s third participation in this event – and it provides the opportunity to present the evolution of our DACS solution, Radiation Dose Monitor, to a large gathering of medical physicists. On the program this year are demonstrations of our RDM software and exchanges with participants around the issues related to patient dose monitoring. 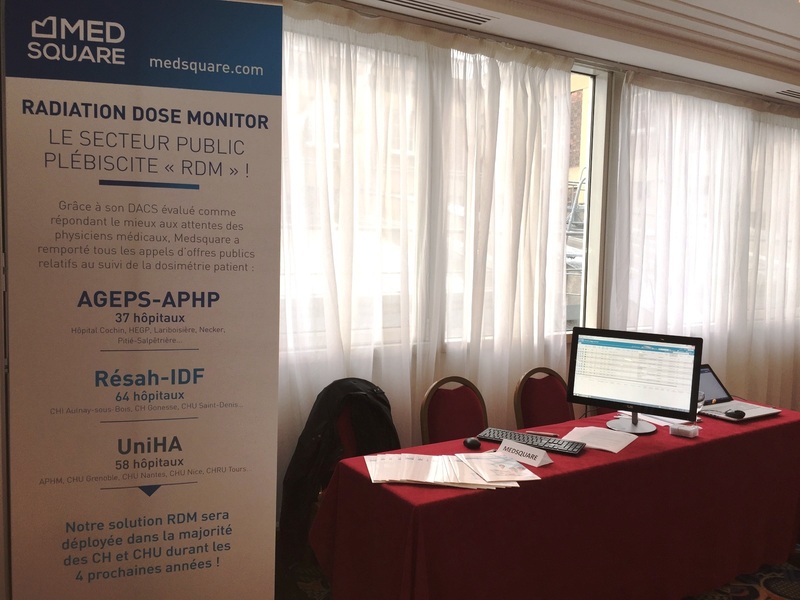 The participants, primarily medical physicists, are potential users of our RDM solution, because Medsquare won all three public tenders from hospital purchasing groups* in France to equip healthcare institutions with a patient dosimetry solution.